A $25 donation could win you a case of Piedmont wine! Recently a dear friend was diagnosed with Stage 4 Colon Cancer that has spread to her liver. At 39 years old, Michelle is a single mother undergoing chemotherapy with a 50 percent chance of survival. Luckily, the cancer has not spread further, so that is positive. And, it is all about staying positive in this situation! That’s why I decided to start a fundraiser that would generate some excitement – so, it had to be with wine, of course. 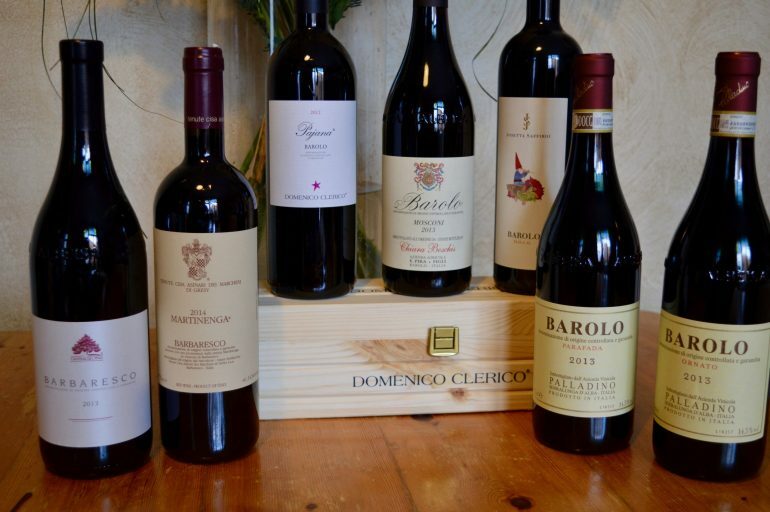 These wines offer an amazing exploration of Barolo, Barbaresco, and the Roero. To create this fundraiser I reached out to my network here in the Langhe and Roero, requesting one bottle of wine for a full case to drive the support efforts. I am humbled by the response, both in the form of wine as well as the heartfelt care and concern for Michelle and her little girl. The mix features big names, cult producers, up-and-coming producers, bottles from the acclaimed 2013 Barolo vintage, top single-vineyard Barolo and Barbaresco wines, and other unique wines that tell a different regional story. 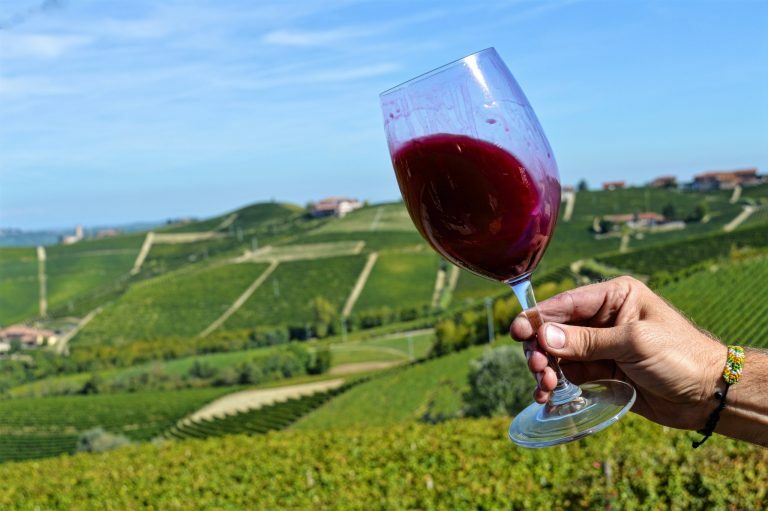 While the bulk of the wines are from the area’s prized Nebbiolo grape, you also get a very special Arneis (the Roero’s indigenous white) and a top Barbera, the area’s most vigorous grape. I cannot thank the donors enough for their generosity. Collectively, this case of Piedmont wine is worth around $650 (U.S. retail). The wine shipping will be covered by Girl’s Gotta Drink. We also had a recent addition to the package from the U.S.-based author, Suzanne Hoffman. 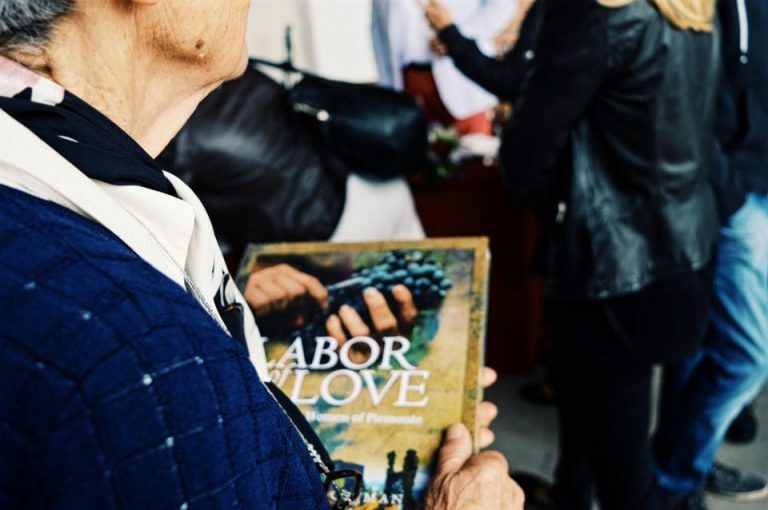 She has generously donated a copy of her book Labor of Love: Wine Family Women of Piemonte. The book chronicles 22 wine families, focusing on the women behind the wine estates in Barolo, Barbaresco, and the Roero. 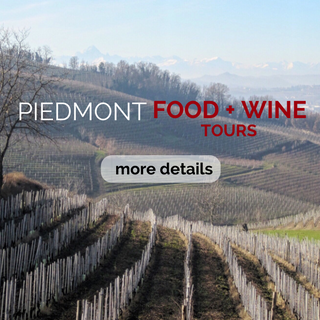 It offers a compelling look at the history and culture of Piedmont. Four of the wine families mentioned in the book have donated wine to the case. 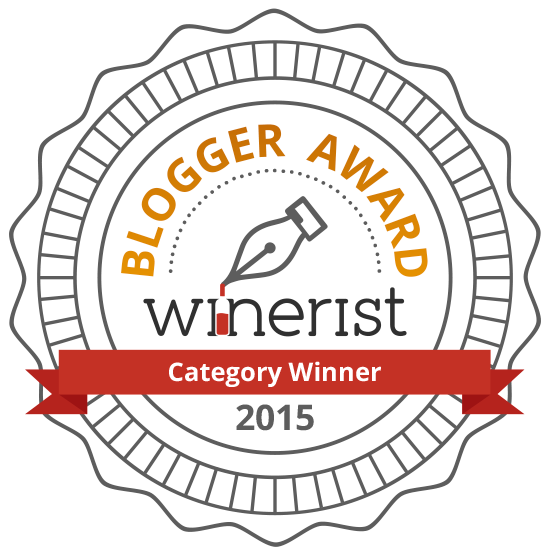 I will be collecting signatures from as many of the wine families as I can before it ships out to the winner. Michelle’s most important job is as a mother to 10-year-old Ashley. As the sole caretaker and provider for her little girl, she already manages more than I can imagine as a mother. 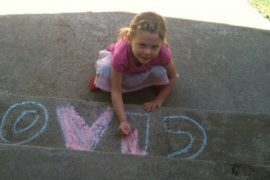 Add cancer and chemo to the mix, and her load could use some lifting. To make ends meet, Michelle juggles two jobs, one as an emergency services dispatcher in the state of Washington. For readers outside the United States, that basically means that when someone calls for help from local emergency services (medical, police, fire), Michelle is their first point of contact. She provides initial telephone support and dispatches help, often to people in distress. Michelle is a hero to many in their time of need. Her calming voice, quick thinking, and immediate support are a lifeline to those on the other end of the phone. Let’s give her a similar touchpoint. When Michelle is in remission, she dreams of bringing Ashley to Italy. I cannot wait to show her this very special part of Northern Italy as well as some of my other favorites places around the boot. It will be her first time in Europe. In the short term, let’s keep her focused on the positive so she can get better and start planning that trip! For every $25 donated to Michelle, you will receive one entry into the random drawing for this case of Piedmont wine. That means if you donate $100, you will be entered four times. We will cap out the number of entries to 10 per person, but of course, you are welcome to donate more than $250 if you would like. The cap is in place to generate as much interest as possible from different parties. Get to know Piedmont: Meet the donors! Domenico Clerico: Those familiar with the region surely know of the legendary Barolo winemaker Domenico Clerico. Over the summer, Clerico passed away at 67 years old after a long battle with cancer. That makes the bottle donated by the winery bearing his name even more poignant. Clerico was part of the Barolo revolution known as The Barolo Boys, a renegade group of young winemakers who dramatically changed area winemaking. His passing this summer left a somber tone in both the Langhe and the wine world. I am pleased to have a little way to honor him as we work to give hope and help to another cancer warrior. E.Pira & Figli / Chiara Boschis: Chiara Boschis is a Barolo legend in her own right as the lone Barolo Girl in the Barolo Boys movement. When I first moved to the area, I knew little of the revolution she helped drive. I was no different than many novice Nebbiolo drinkers who associate the use of barrique as the defining factor of the modernist movement. “Oh, no,” explained Chiara. “It was the reduction of yields in the vineyards that was the greatest modernist innovation.” She tells the story of her 1994 green harvest when neighbors phoned her father to ask if she had gone mad because she spent so much time dropping fruit. Green harvest is the practice of dropping of unripe (or green) grapes bunches from the vine. It is done to manage yields, enabling the remaining clusters to fully ripen in accordance with the winemaker’s goals. I am beyond honored that Chiara gave a 2013 Mosconi for this project as her wines of this vintage are pretty much sold out in the cellar. Palladino: The historic Palladino winery sits at the base of the village of Serralunga, surrounded by the Serralunga hills. The winery itself dates back to 1870, making it one of the oldest in one of Barolo’s most revered winemaking areas. In 1978, it was purchased by the Palladino cousins Maurilio and Mauro whose grandchildren now oversee the winemaking and operations. Here, you find wines classic in style with the signature Serralunga power and elegance. Today, Maurilio’s granddaughter Veronica oversees a good deal of the operations, both in the cellar and in the office. If you have a chance to taste with her at the winery or at an event during her (numerous global) travels, do it! 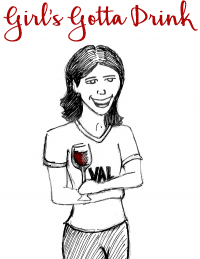 Her energy and enthusiasm make the wines even more exciting. A big thank you for her donation two Palladino 2013 single vineyard Serralunga Barolo wines. Pro Tip: Tuck these two away. Josetta Saffirio: Josetta Saffirio is a small biological and sustainable producer nestled in the Monforte hills. The winery is run by Sara Vezza, who represents the fifth generation of farmers in Castelletto of Monforte; the torch for this winery has passed through a line of female winemakers. The winery works to limit its environmental impact, particularly at the energy level with a cellar designed to minimize energy needs. They have cultivated a forest to bring oxygen into the environment, creating a space where viticulture is king. Voglia di Vino Wine Bar, Shop, & Restaurant (Alba, Italy): Voglia di Vino is one of our favorite Alba wine bars, located in the city’s centro storico. Run by husband and wife Luca and Daniela, they recently renovated and expanded offering more seating, more food, and even more wine. Now, you can do aperitivo AND dinner! Patrons enjoy area wines by the glass, curated tasting flights, and unique wines (older bottles, big name producers, etc.) via their Coravin program. Luca, Daniela, and their friendly staff are always on hand to make recommendations and provide insight into the wines in your glass. They selected a magnum of the top Barbera they now offer. I was super excited as Deltetto was an early favorite when I moved to the area. 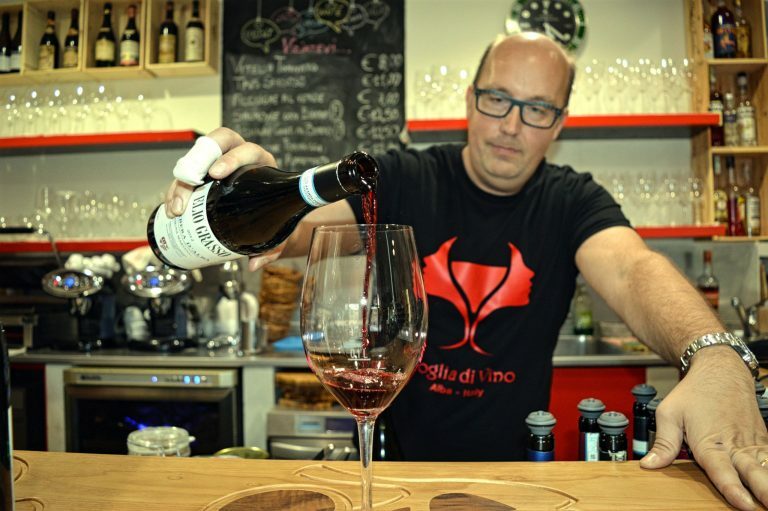 Luca of Voglia di Vino in Alba, Italy. Marchesi di Gresy: The historic Marchesi di Grésy winery dates back to the 18th century. It is located in the middle a the primary wine growing area of Barbaresco, surrounded by the Martinenga vineyards. They make three labels of their prestigious Barbaresco, which are the only Barbaresco wines permitted to have “Martinenga” on the label. If you visit, request your tasting with Cellarmaster Jeffrey Chilcott. He’s one of a kind and will teach you more about wine in two hours than you ever thought possible. Ca’ del Baio: I first met the winery’s youngest daughter at an annual local event that features the new Barbaresco releases. Federica poured that night and humored me as I practiced counting in Italian each time I went back for my next two wines, “Adesso, ho bisogno vino nove e dice.” I guess I didn’t annoy her too much because she invited me to the winery for a visit and a wonderful friendship began. The winery is run by winemaker Giulio and his wife Luciana (who we all know is the real capo!) The supporting cast includes their three daughters, Paola, Valentina, and Federica. When the girls were deciding on careers, Giulio and Luciana insisted they not simply go into the family business. The girls all explored other vocations, but each returned to carve out a place at the winery. 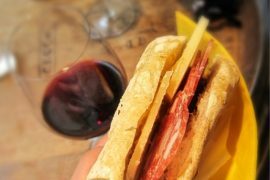 Cantina del Pino: I am happy to say I married into this connection! Renato, the winemaker and owner, has long been a good friend of Il Marito’s. The winery sits a stone’s throw from the village of Barbaresco with the landmark Tower of Barbaresco visible from the cantina. Renato is a fourth generation Barbaresco producer who is very much both a grower and winemaker. His great-grandfather worked the land 70 years ago, planting many of the same vines he tends today. His production is small and renowned the world over. Azienda Agricola Demarie: Another producer that takes me back to my early days in Alba. I was attending the city’s annual Festa del Vino tasting and while talking to winemaker and owner, Paolo, I dropped my phone a puddle of water (perhaps Girl had too much to drink that day!) He scooped it up, dried it off, and miraculously my phone was saved! The Demarie winery is located in the lesser known Roero section of Piedmont. 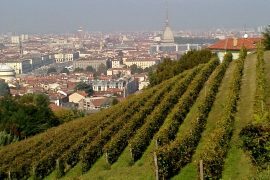 The area sits to the left of the Tanaro River, neighboring the Langhe and Monferrato. I often recommend it to clients as an insider’s tip as the Nebbiolo-based wines drink just a little younger with great quality and high value. But, the area is not to be missed for its indigenous white, Arneis. Demarie offers a still and sparkling Roero Arneis. And, the wine they gave to honor Michelle’s fight is their For You metodo classico spumante. They only make this wine in the best years. Thank you to the donors and everyone who participates! Please subscribe in the upper right and / or follow updates via Facebook, Instagram, or Twitter. Good luck to all! We can’t wait to announce the winner of the Beat Cancer Piedmont Wine Fundraiser in January! Next articleFinal Call: Beat Cancer Piedmont Wine Fundraiser ends January 17!